Hi, welcome to my blog page. 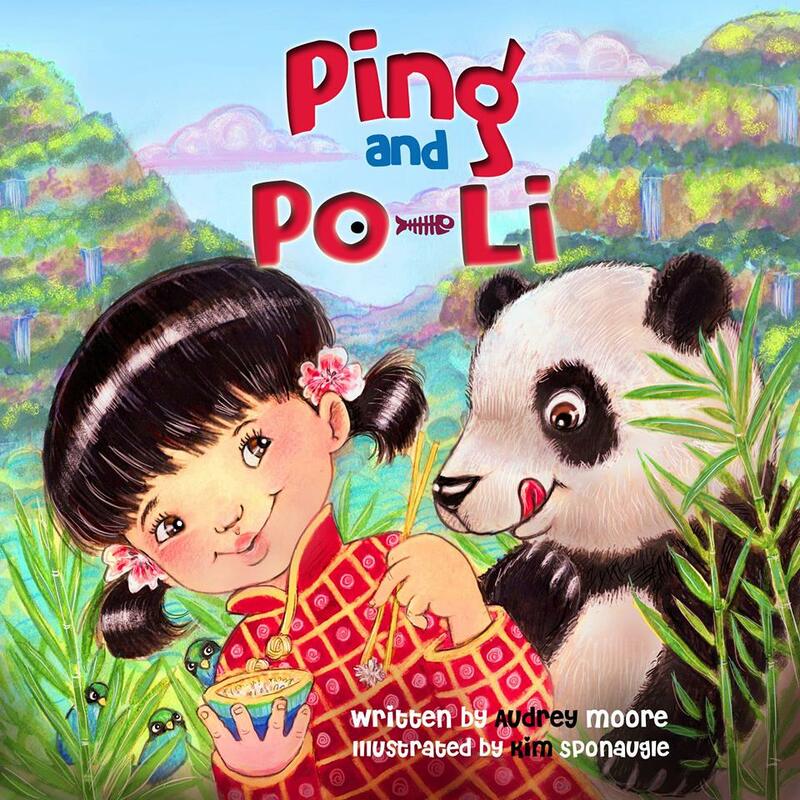 I am Audrey Moore, I am the author of the Childrens Book, Ping and Po-Li, which will be released in January 2015. The story is set in an Asian Rainforest. The two main characters are Ping a little panda and a little Asian girl Po-li . Ping tires of eating bamboo and wants to try new food so the two little friends embark on a ‘shiwu’ (food) adventure through the rainforest meeting some very interesting characters along the way including Vicky the Vulture and a Coconut Crab!. The book is aimed at healthy eating and varying your diet. All the animals in the book are endangered and there is a ‘did you know’ section at the back of the book with fun facts about how the animals have become endangered. There is also a map to ‘follow the trail of Ping and Po-li’ which children will find fun. The very talented award winning Illustrator Kim Sponaugle will begin the colour illustrations this week which I am really excited to see! The very talented award winning Illustrator Kim Sponaugle will begin the colour illustrations this week which I am really excited to see!